Well, summer is over, the familiar feel of a cold, dark garage has returned and life is now (mostly) back to normal after the wedding. The day went extremely well with all our family and friends there. The honeymoon after was fantastic too, for those interested we flew to Vegas then drove up to San Francisco then down the coast to LA over the course of two and a	half weeks. I can highly recommend Yosemite National Park as a place to visit - just awesome. However all these marital goings on have meant the car has sat somewhat lonely and unloved for the best part of 6 weeks. The guys at work are making rude suggestions about when I'll be placing the "For Sale" advert, but I really am determined to finish this car!! The exhaust headers finally arrived about a week before the wedding, so there was just enough time to paint them and fit them before other events took over. 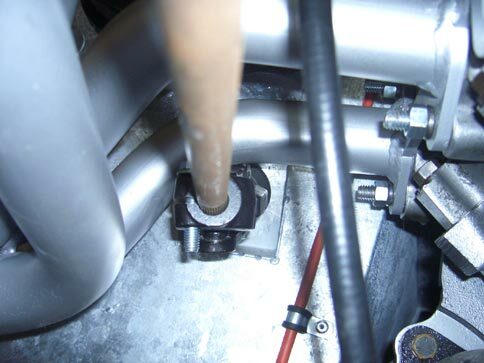 Unfortunately it turned out that the steering joint was fouling the header on the drivers side (see picture on the right). It was only just catching, but a serious problem nonetheless. I think I would have been less upset if I hadn't spent time and money painting them up in high-temperature paint before fitting them. You would have thought I'd have learnt by now to check these things first! I spent a good few hours moving the steering wheel up and down, detaching and reattaching the steering joints and column until - voila! Suddenly it fell into place. Or so I thought... Moving the steering wheel was accompanied by a loud bang and I looked round to see the steering column had fallen apart. It turned out the reason it was no longer fouling the exhaust was because I'd adjusted the joints to the point where they were no longer actually gripping anything. Whoops! So instead, I took a heap of photos with measurements in preparation to send them to Pilgrim. 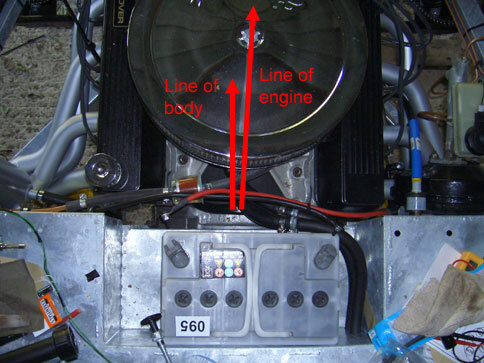 The next job on the body was to trim the bonnet. As it comes out of the mould there is a lip of excess fibreglass around the edge which needs to be removed. Pilgrim told me to cut back flush with the bonnet. 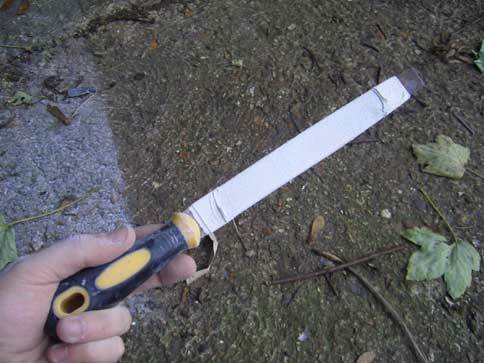 I'll admit I was a little nervous as I prepped the angle grinder with some P60 sandpaper. On attacking the lip, the grinder turned it to clouds of dust like a hot knife in butter. Carefully I worked my way around the edge and half an hour later it was gone completely. 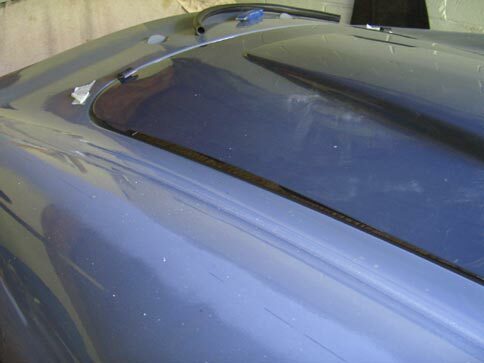 I laid the bonnet on the car and started to mark up the hinges. 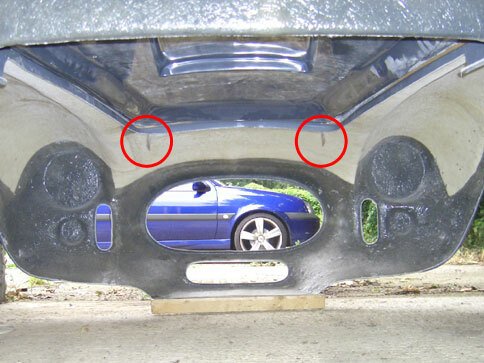 The hinge mounting brackets are fibreglassed into the tub and after mounting the hindge to it I realised they weren't particularly vertical which meant the hinge itself didn't fit flush to the bonnet. I tried using the hinge to lever the brackets, but that resulted in a lot of loud cracking noises from the fibreglass. Instead I used a large pair of molegrips and that was much more successful. With the brackets aligned, I sprayed them and the hinges in Hammerite and left them to dry. So all this took me up until a few days before the wedding and then it was time to down tools and head off. I just managed to get a phone call in to Pilgrim before I left explaining about the exhausts. Unfortunately they were at a loss as the previous three cars had fitted fine and even had a little room to spare. I agreed to have another look and see if there was something different on my setup. 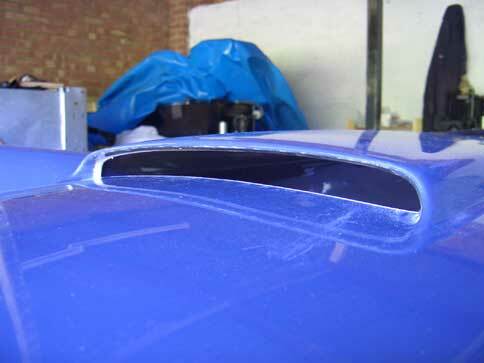 Back on the bonnet and it was time to cut out the air scoop and fit the hinges. I drilled a few large holes in the air scoop and used a fine toothed jab saw to roughly cut out most of the material. As I don't have access to a Dremel and I haven't got round to buying a file suitable for fibreglass (if there is one?) I had to improvise a little bit. Having seen how well P60 worked with the angle grinder I taped some of the stuff to the flat face of my metal file. It worked a treat! A lot of elbow grease later and at least one strained shoulder muscle I had a very neat air scoop hole. I'd also managed to scuff various bits of the bonnet with the file, fortunately this is not staying in gelcoat, but a warning to others - it's really, really easy to mark! 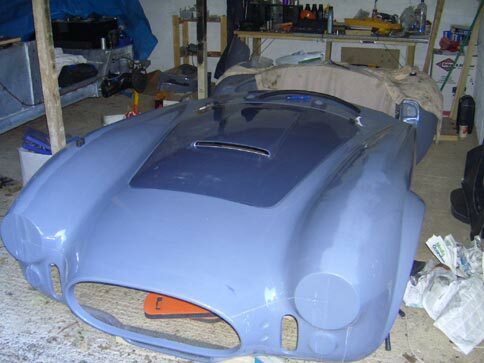 The last job I have acheived to date was fitting the hinges to the bonnet and trying to align it on the body. 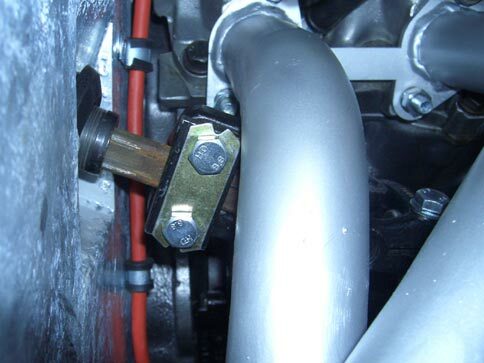 I used some spare rubber coolant hose and cut some small pieces with a slit along them. I slipped these over the four corners of the bonnet to help space it correctly. After a bit of jiggling I managed to get a pretty even gap around the front, back and one side. The driver's side didn't fit very well at all, Pilgrim had previously warned me this might be the case and once the body was on the car I could space it up a bit to make the shutline fit correctly. So with three sides looking good I marked and drilled the holes for the hinge plates. Attaching it all together and it looked pretty good, and even worked(!). Refitting the rubber hose spacers I adjusted the hinges so the bonnet was sitting reasonably flush with the car body. I think I will have another go at this step as the fit of the panels is something I want to get as perfect as possible. 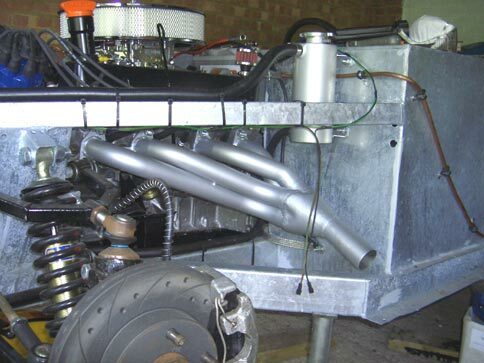 Next steps are to re-adjust the engine position to sort the exhausts, finish some tidying in the engine bay, actually fit the body on the car and order some harnesses and roll hoops so I can start fitting them.